Beyond being disastrous for Laclede's Landing, the elimination of Washington Avenue from Memorial Drive to the levee would be squandering one of St. Louis' oldest connections to the Mississippi River. The map above shows the extents of the village of St. Louis in 1780. The area shaded in green from Poplar to Washington was taken for the Jefferson National Expansion Memorial (the Gateway Arch and surrounding park). South of the Arch, Poplar street extends to the river but is blocked by the highway. Plum street has all but disappeared, Cedar and Lombard streets are blocked at First Street by truck lots and the flood wall, leaving Gratiot as the only street still passable from the river to 7th Street, where it becomes a private road through the Nestle Purina corporate campus. North of the Arch, Lucas is blocked by a parking lot at 2nd Street and Morgan is blocked west of Memorial Drive. 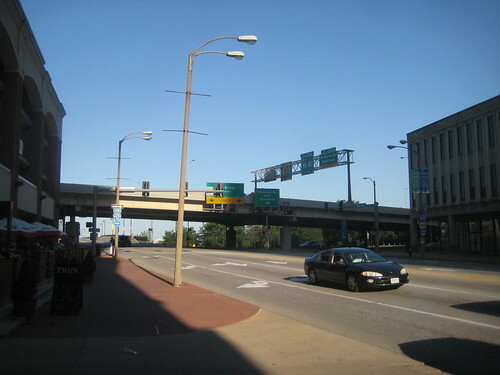 Laclede's Landing Boulevard, an access road just south of the MLK Bridge goes through to the river and connects to Convention Plaza, albeit in an extremely awkward and confusing way, but did not exist prior to the late 1970's. All of these blocked and removed streets leaves Washington Avenue as one of St. Louis' only remaining connections to the riverfront from the time of the City's beginnings. 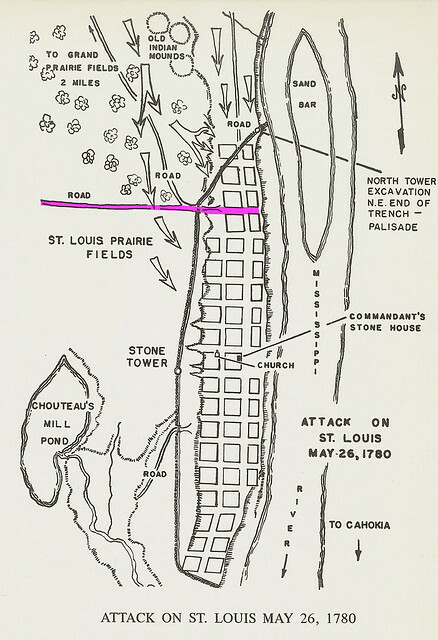 Another map from 1780 shows that Washington Avenue was one of the few streets that extended outside the fortifications of the village of St. Louis to destinations beyond. The maps from the 1970 printing of "This is Our St. Louis". 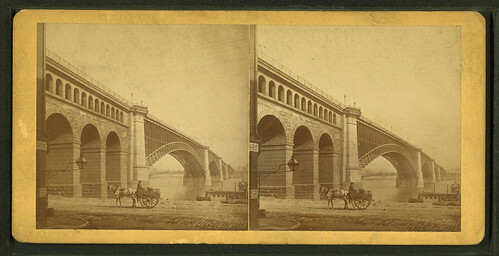 The opening of the Eads Bridge in 1874 solidified Washington Avenue's prominence as one of the most important streets in St. Louis. The photo of the bridge above from Wikimedia was taken at the foot of Washington Avenue at the levee just a year after completion. 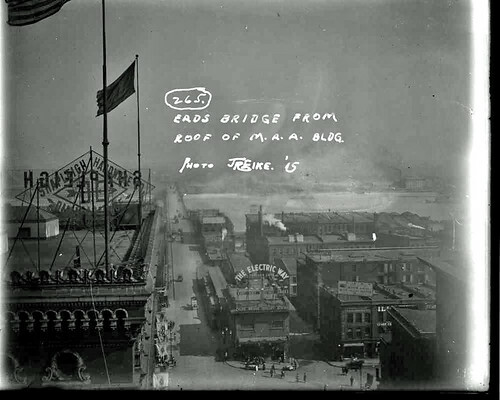 This photo looking down from the roof of the Missouri Athletic Club (former known as the Missouri Athletic Association) shows the Eads Bridge and the leg of Washington extending to the river. 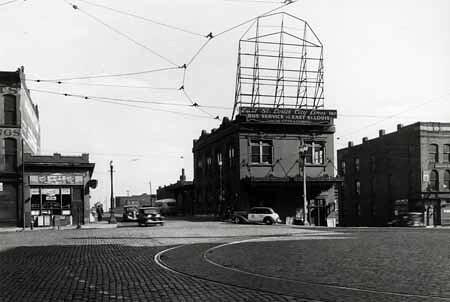 The building between Washington and the bridge was a the terminus of streetcar lines from East St. Louis that came across the bridge deck. The tracks in the tunnel hidden below and extending across the lower deck of the Eads where MetroLink runs today were used solely for freight trains. 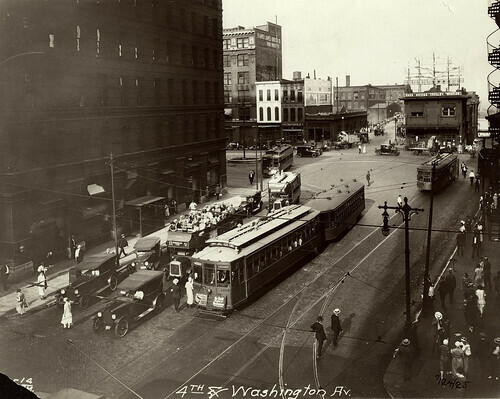 Another view of Washington and Third Street (now Washington Avenue) from the Missouri History Museum shows a bustling intersection including a streetcar turnaround. 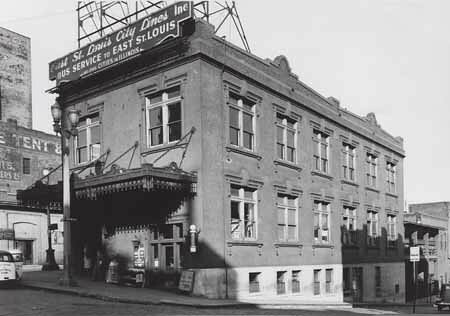 It was a hub of activity connecting the Washington Avenue commercial corridor to Eads Bridge and the river, a glimpse of which can be seen near the right edge of the photo. Today, this intersection is all but obliterated by an elevated highway creating a psychological barrier cutting off St. Louis from the riverfront. 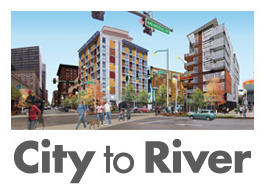 Instead of restoring this intersection and its connections by implementing City to River's vision for a new boulevard to replace the highway, the current focus with a deadline of October 2015 includes removing the Washington Avenue connection to the river. The current 90 day process to refine MVVA's design concept is unfortunately closed to the public, so good luck telling anyone if you agree that Washington Avenue should be kept. A limited number of Downtown stakeholders and organizations do have a chance to have their voices heard as part of this process. Lets just hope that someone listens. Paul, I don't think you even realize what an important service you provide for our city. I don't completely follow your logic here tho...I am for leaving Wash Ave open, but how does closing it squander our connection to the river?